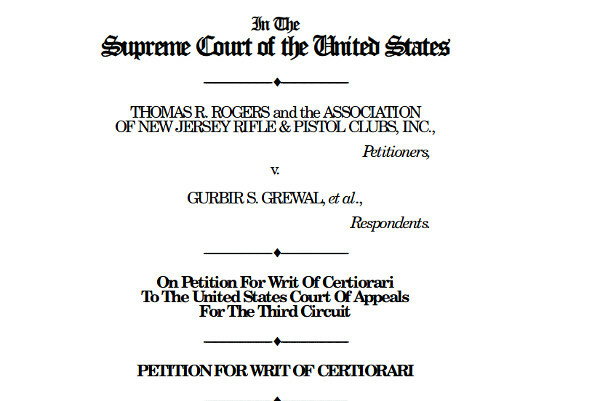 Rodgers v. Grewal is a New Jersey Second Amendment case that has pushed through the court system of appeals. The petitioners are asking the Supreme Court to hear the case. The legal term is to ask the Court to grant a writ of Certiorari. The case is the next in a stream of Second Amendment cases over the last eight years. This case, like others, deals with the Second Amendment right to carry a weapon, specifically a handgun, outside of the home. The Supreme Court has refused to hear a case on the issue for eight years. That changed on January 22, 2019, when the Court agreed to hear a case from New York Rifle & Pistol Association. In that case, the City of New York forbids pistol owners from taking a pistol outside of their home except to one of nine ranges available in New York City. That case was granted a writ of certiorari or "cert" as it is called in legal jargon. The New Jersey case is broader, and deals with issues already raised in several appeals courts. The primary issue is whether there is *any* right to bear arms outside of the home. The Third Circuit Court of appeals had decided, in a previous case, the right to bear arms did not apply outside of the home. The only avenue left was an appeal to the Supreme Court. The First, Second, Third, and Fourth Circuits have all held, in slightly varying degrees, that there is no Second Amendment right to bear arms outside of the home. These Circuits contain states on the East coast that remain "may issue", which is to say, allow a governmental authority to deny the right to carry outside the home on the basis of need, which does not include a general need for self defense. The D.C. circuit and, currently, the Ninth Circuit, have held there is a right to bear arms outside the home, and the government cannot deny a permit to carry on the basis of need. This Court’s review is necessary in this case for three independent reasons: to resolve the direct conflict in the circuits over the constitutionality of laws like New Jersey’s, to correct the decision of the court below essentially ignoring the clear holdings of Heller and McDonald, and to end the lower courts’ open and massive resistance to those decisions. The Supreme Court had scheduled a hearing on the case for 19 February, 2019. Congress granted the Supreme Court the power to decide what cases it would hear when it set up the appeals court system in 1891. About 8,000 cases ask for a writ of certiorari in a given year. The Supreme Court accepts about 80, or one percent of those cases. It will be at least a month before we know if the Supreme Court decides to hear Rogers v. Grewal. The Supreme Court is interested enough to ask for more information. That does not mean they will hear the case; it means they did not refuse to hear the case with the knowledge available to them at present. The case has several aspects that make it a good candidate. But Second Amendment supporters have been disappointed several times in the last eight years. There is video of the incident at the link. The incident happened Tuesday at Bullseye Gun, Gear and Pawn on Shelby Street. The suspects entered the store, grabbed two weapons and fled from the business. The clerks, all armed, chased after them and got them to surrender. 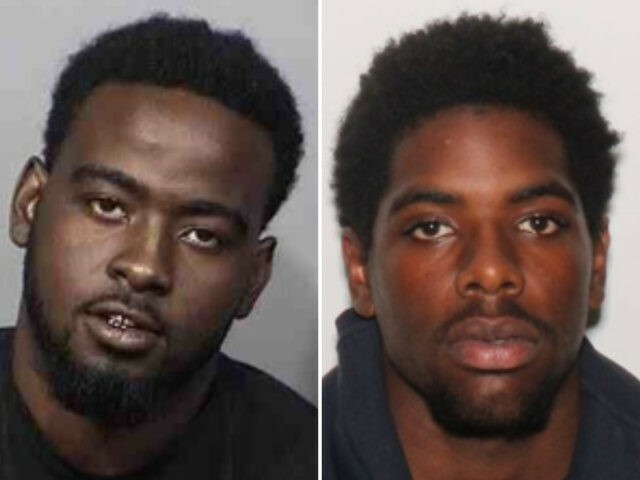 The clerks held the four suspects at gunpoint until Murfreesboro police officers arrived. The victim who fatally shot a man who tried to rob him Tuesday night in West Birmingham was justified, Birmingham police said Wednesday. Prosecutors say an audio recording shows Raja never identified himself. They say that caused Jones, who had a concealed-weapons permit, to pull a handgun because he feared he was being robbed. They say Raja kept firing after he saw Jones throw away his gun, and lied to investigators about it. Oklahoma Constitutional Carry, in the form of HB2597, is moving forward. Here are part of the changes in the statutes. The Constitutional Carry law will remove the provisions of law that make it illegal to carry guns and knives for ordinary legal purposes. Governor Kevin Stitt (R) has repeatedly said he will sign the bill, with a caveat that he will insure there are no major changes in the it, presumably, compared to last year. Witnesses said the victim was assaulting his girlfriend when another man "took offense" to it, according to Houston police Lt. Larry Crowson. The onlooker confronted the man, and one of them pulled out a gun. Crowson said he wasn't sure which man pulled the gun, but the victim was shot at least one time. "The young lions are nearly full grown, as large or possibly larger than their mother," said Yamashita. "It appears the female lions are teaching their young to hunt among a human populated area. Considering we are talking about nearly full-grown lions, this is not a sustainable situation. We will take the appropriate management action as necessary, but what the action will be remains to be seen and will be based on our assessment of public risk and the lion's behavior going forward." "This is a troubling situation and we are very concerned for the safety and welfare of the people in this area," said Northwest Regional Manager JT Romatzke. "We ask everyone to take this warning seriously." Mountain lions tend to be solo hunters, unless they are part of a family group, such as these cats are alleged to be. The usual litter for mountain lions is two cubs. These cats are doing very well. To have two females, each with larger than average litters, suggests a reliable food supply. Maybe there were large numbers of domestic dogs and cats missing from Edwards? 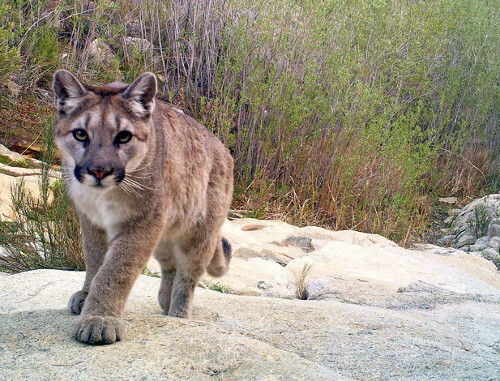 Mountain lions have been known to prey on domestic dogs and cats. Edwards is a large, unincorporated community with a population of over 10,000, and an area of about 27 square miles. That is only one person for every 1 3/4 acres, about one tenth the density of the average suburb in the United States. A man fought off a mountain lion attack with his bare hands less than three weeks ago, in Larimer County, Colorado, about 150 miles Northeast of Edwards. They usually attack from ambush, without warning, often from behind. That happened to a runner in Colorado. But the runner was not listening to music on earbuds or headphones. He heard something. He started to turn around. He saw the lion launching itself at him. PINOS ALTOS, N.M. -- The New Mexico Department of Game and Fish and U.S.D.A. Wildlife Services captured and killed a second mountain lion Tuesday morning resulting from the search for the lion that killed a Pinos Altos man. The first lion was caught and killed June 24 and may have been the one that killed and partially ate 55-year-old Robert Nawojski June 17 or 18 near his Pinos Altos home. Mountain lions not as tough as bears. They are thinner skinned and have lighter bones. Most handguns would be useful in stopping a mountain lion. Many have been killed with .22 rimfires. One was killed with a boar spear as it attacked a man's wife in Canada, in 2013. I would carry something with more power than a .22, if I were concerned with mountain lions. Mountain lion attacks are rare, but are increasing as mountain lion populations expand, hunting is highly regulated, and young lions are looking to establish new territories. It has always been legal to openly carry firearms in Colorado without a permit. Colorado has a shall issue concealed carry permit that is not too difficult to obtain. It costs about $100 to $200 for everything involved, depending on whether training is needed. The permit requires renewal every five years. Investigators believe Watson arrived at his estranged wife's apartment where he confronted the woman's boyfriend. Watson assaulted the man who fired a handgun, hitting Watson. Officers said both the estranged wife and her boyfriend stayed on the scene and are cooperating with the investigation. GREENE COUNTY, Tenn. (WJHL) - Officials with the Greene County Sheriff’s Department say a Bulls Gap man is currently in serious condition at the Johnson City Medical Center after attempting to break into a Greene County home over the weekend. They forced the couple back inside their apartment where, police say, the boyfriend reached for a gun. He and one of the robbers began shooting at each other. Both of them were hurt and were taken to an area hospital, officials. GREENSBORO — A man who called 911 on Sept. 1 told dispatchers he woke up to people in the house and shot one of them with a gun they had dropped. Authorities on Wednesday released the audio recordings of three 911 calls in the shootings at 1100 Huffine Mill Road that police have said were connected to a planned robbery. In one, the man calling for help could barely be understood at first because he was sobbing. The caller managed to give the address before breaking down. IDAHO FALLS, Idaho — It’s unclear what events led up to the death of Idaho Falls police officer Blaine Reed at the hands of a Utah homeowner Thursday night, but there is some indication Reed was having difficulty in his personal life. Joshua Ellis, 34, got into a loud argument with a woman at his home on the 10300 block of County Lake Dive. The dispute was so loud that Ellis' next door neighbor, Brien Colby, 39, walked out of his own home to see what was the matter. Ellis took exception to Colby's presence. While Colby was on the phone with 911 to report the dispute, Ellis moved toward Colby and threatened his neighbor's life. Colby, standing on his own property, shot Ellis in the chest with his 9mm handgun. 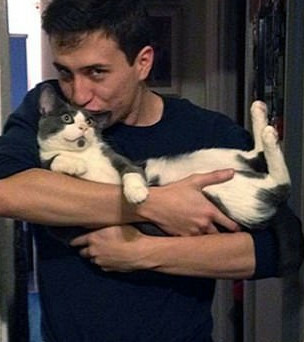 “He would even give you the food out of his place if you needed. That’s why I can’t understand how somebody could do it to him,” Plant said. Others heard him calling for help from inside his apartment. “He was screaming like crazy, 'Help! Help! Help! Please call the police! Please call the police! '” the mother said. Neighbors think both men fired at each other during a shootout as the suspect tried to barge into his apartment, thinking he had a large stash of money. LAYTON — Layton police say a man who burst into a home uninvited to confront the homeowner about an alleged relationship was shot and killed by the homeowner Thursday night. The victim was an Idaho Falls police officer. He was identified Friday as Blaine Reed, 35. DUBUQUE, Iowa (KCRG) - Three men are facing charges after police said they broke into a Dubuque home intending to assault a man, but the suspects entered the wrong house and were confronted by an armed homeowner. According to the victim, just prior to contacting law enforcement, the victim observed an unknown male suspect siphoning gas from his vehicle. The victim, armed with a firearm, confronted the suspect. The suspect reportedly began to walk away when the victim demanded that he stop. The suspect then reportedly brandished a firearm at the victim, at which time the victim fired one shot at the suspect. It is unknown if the suspect was struck, however, no evidence of injury was located at the scene. The suspect then ran to his vehicle and fled the scene. That is when one of the drivers got out of his vehicle and approached the Redbox movie rental unit next to the building’s wall. The second driver confronted the man about the road rage incident. That person suddenly stabbed the man standing at the Redbox, wounding him with the knife that was used. The stabbing victim then pulled a gun and fired, striking the knife wielder in the chest and killing him. On February 9th, 2019, Australian police officers swarmed a man walking along a busy, coastal, pedestrian walkway in Brighton, Australia. Police took down the man because of reports that he was armed with a rifle. 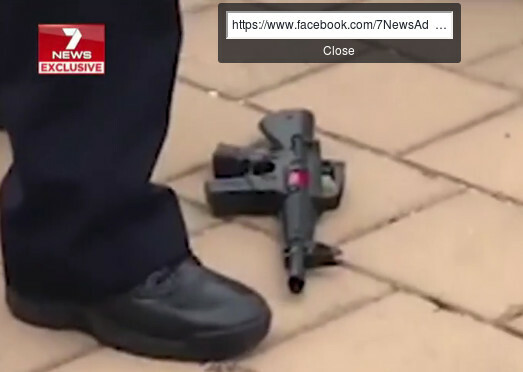 In a video from 7 News Adelaide, you can see the toy gun next to a female officer's boot. Use the tiles/bricks the officer is standing on for scale. The toy appears to be about a foot long, less than one/third scale. No reasonable person could mistake it for an actual, functioning rifle. Brighton is an upscale, urban, coastal suburb of Melbourne, Australia, in the state of Victoria. It is illegal in Victoria to own a replica or imitation firearm without a firearms license. There are a wide variety of firearm-themed items available on the market aimed at children or firearm enthusiasts. Depending on the overall appearance and function of these items, some may be classified as a registrable firearm, a replica firearm or an imitation firearm. These require an authority to possess, carry or sell in the State of Victoria regardless of the intent of the manufacturer. The information contained within this page and downloadable Quick Guide to Imitation, Toy & Other firearm paraphernalia has been published to assist you to recognise the distinguishing characteristics of an imitation firearm as opposed to a toy or other firearm paraphernalia to assist you to comply with Victorian laws in this area. Replica firearms are not the same as imitation firearms. They are working copies of an original firearm and anyone in possession of a replica must register it and be the holder of the appropriate firearms licence. Not surprisingly, 7 News Adelaide gets the legal definition wrong. They reported it was not a rifle, but a replica. It is not a replica because it is too small and is not a working copy. It is not an imitation firearm, because it is too small. The man was not arrested on a criminal charge. It was reported he was taken in for mental health evaluation. The public doesn't know if it is real or not. They have to assume that it is real. I disagree. If you are so ignorant about a technical matter, you probably should not be calling the equivalent of 911 about it. Firearms have been successfully demonized in urban Australia, indeed, in much of the world. The demonization has been so complete that citizens feel no one can be trusted walking in a public area with a toy gun. Australian media railed about a slightly larger, obvious toy AK being carried by a child, in 2015. A soldier, training for a military exercise, in uniform, was caught up in the hysteria in Australia for carrying a very crude mock-up of a rifle, that would be impossible for a reasonable person to mistake for a working firearm. Much of the purpose is to make the private carry of firearms socially unacceptable. Australian crime has been exceptionally low for decades, both before and after their extreme gun laws. In the United States, because of the Second Amendment, we are moving in the other direction. Open carry is becoming more and more acceptable. It was ruled as a core part of the Second Amendment in the Ninth Circuit, although the case as been appealed to the full Ninth Circuit, en banc. I fear Australian, as with the English and Canadians, have allowed their traditional right to arms to be slowly and successfully legally ignored into nothingness. As a consolation, the police in Australia were uniformly polite and easy to deal with when I was there, in 2017 and 2018. As a foreigner, I earnestly worked at not breaking any laws. It was just after noon on Feb. 12 when the woman called 911, and shot at the 20-year-old suspect twice - while she was still on the phone with 911. She was able to fend him off until deputies arrived to arrest him. Ten minutes later, when Jeff went outside to smoke a cigarette, the sketchy teenagers were holding a rifle. Police said the rifle was stolen from the home next door. That is when Jeff said he dashed back inside his house and retrieved his pistol. The juveniles reportedly tried to steal a car, but the owner came out of his home and fired a gun -- grazing one of the boys. LMPD says the kids sped off in the stolen car and crashed in a ditch at the intersection of Triplett and Noah Drives, about a half-mile from the house. The car was left running with visible bullet holes. Mitchell says the investigation will continue, but police are still looking into what charges will be filed. He also could not say whether the juveniles could be charged as adults. The Davidson County District Attorney’s Office has ruled the fatal December shooting of a man trying to break into an Upton Street home a justifiable homicide. Silvestre Begley, 21, died of a single gunshot wound to the chest. The shot was fired by homeowner Joseph Asis. Asis will not face charges. We have entered the third year of the Trump era of National Instant background Checks (NICS). It started with a January very similar to the last two years. National Instant background Checks (NICS) are the background check required for most sales of firearms by federally licensed firearm dealers. There were 2,165,094 checks for January of 2019. In the first January of the Trump era, ihn 2017, There were 2,043,184 NICS checks. In the second January, (2018), there were 2,030,530. The three Januarys are remarkably similar, all within a range of only 134,564 checks. The smallest number is in 2018. It is 93% of the largest, in 2019. These numbers are tempered by the increasing numbers of NICS checks that are done for other purposes. The number of carry permits in the U.S.A continues to grow. That number is approaching 18 million. 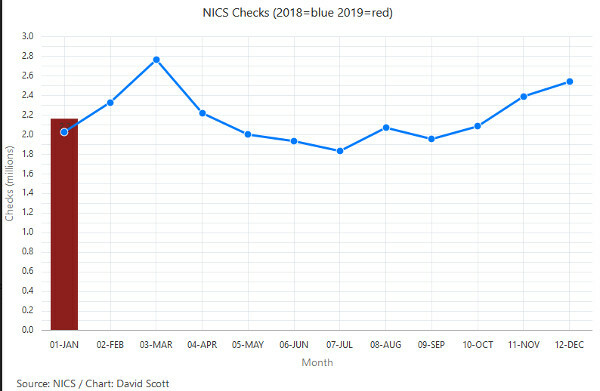 Permit checks and permit rechecks done in the NICS system are about half of all NICS checks. In half of the states, this is offset because permit holders are able to purchase guns by using their permit to meet the background check requirement, instead of another background check. 25 States do not require an additional NICS check once the background check for the permit is done. Alabama, Alaska, Arizona, Arkansas, Georgia, Hawaii, Idaho, Iowa, Kansas, Kentucky, Louisiana, Michigan, Mississippi, Montana, Nebraska, Nevada, North Carolina, North Dakota, Ohio, South Carolina, Texas, Utah, Washington, West Virginia, and Wyoming. There were 1,162,142 permit and permit rechecks done in January of 2019, 1,041,255 permits and permit rechecks done in January of 2018, and 993,743 permit and permit rechecks done in January of 2017. When we subtract the permit and recheck NICS, the numbers for January 2017, 2018, and 2019 are 1,049,441 in 2017, 989,275 in 2018, and 1,002,952 in 2019. Those number are a little flatter than the total NICS checks. Americans are still buying lots of guns. The rate has declined a bit from the feverish level of 2016, but is high by historical standards. If private gun purchases continue at the current rate, the American private stock of firearms will reach five hundred million guns by the end 2024. Determining the exact number of private guns in society is difficult. One assumption is that unofficial guns and illegally imported guns, offset guns that wear out or are destroyed. Kits for making your own guns, including tooling and parts, have become common and popular. While some guns are made from scratch, many are created using kits. Most kits can be purchased through the mail, without any special license. In some jurisdictions with strong legal restrictions against firearms ownership, homemade guns are a significant number of the firearms in society. In Nigeria, 74% of the firearms confiscated are homemade. In China, over 98% of guns owned in the country are illegal. Many of the estimated 50 million illegal guns in China are homemade. Legal barriers to firearm ownership apply whether the firearm is homemade or produced by a factory. An apartment resident told police he shot at someone he discovered inside his home Tuesday night in east Oak Cliff. The wounded man was hospitalized, but he was expected to recover, Dallas police said. A woman was in the driver’s seat of the car and a man was loading the groceries into the trunk when an unknown man approached them with a gun. The woman got out of the car. The man who was loading groceries was armed - he fired at least one shot toward the car as the suspect drove it away. An Oregon man helped local law enforcement detain two Idahoans accused of trespassing in a Baker County residence on Monday, according to a news release. GALVESTON COUNTY, Texas — A man who police said just wanted to buy an iPhone ended up shooting and killing a would-be robber in rural Galveston County. The father came out with his gun and told Davis to leave. The men called police and held Davis at gunpoint. A Columbus jury found Roger Thomas not guilty of murder Monday in the 2015 fatal shooting of his half-brother during a birthday party at Thomas’ 435 Bernard Drive apartment. Thomas also was acquitted of all other charges, including aggravated assault and using a firearm to commit a felony. “The crux of the whole case was really him and whether or not the jury believed ... by the evidence, which would include his testimony, that he was really in fear of receiving a serious bodily injury, or potentially death, when he fired that fatal shot,” Jackson said. But the U.S. doesn’t have the most mass shootings, says Lott. It’s a myth created by University of Alabama associate professor Adam Lankford, a myth repeated by anti-gun media in hundreds of news stories. But how could that be? Many governments don’t collect such data, and even fewer have information from before the days of the internet. “That’s academic malpractice,” says Lott in my video about the controversy. I’m not surprised that Lankford didn’t reply to Lott’s emails. Lott is known as pro-gun. (He wrote the book “More Guns, Less Crime.”) But Lankford also won’t explain his data to me, The Washington Post, or even his fellow gun control advocates. When Lott’s research center checked the data, using Lankford’s own definition of a mass shooting—“four or more people killed”—the center found 3,000 shootings around the world. Lankford claimed there were only 202. Lankford said he excludes “sponsored terrorism,” but does not define what he means by that. To be safe, Lott removed terrorism cases from his data. He still found 709 shootings—more than triple the number Lankford reported. It turns out that not only did the U.S. not have the most frequent mass shootings, it was No. 62 on the list, lower than places like Norway, Finland, and Switzerland. If journalists had just demanded Lankford explain his study methods before touting his results, his “more mass shootings” myth would never have spread. So if Pelosi, Harris, and Warren ever follow through on their threat to declare gun violence a “national emergency,” be sure to check their math. Or just remember the wisdom of the Second Amendment. Government’s desire to control us—and to lie to make its case—is the real emergency. For eight years after the McDonald v. Chicago decision, the Supreme Court refused to enforce the Second Amendment. President Trump has appointed two constitutionalist and originalist Justices, Justice Gorsuch and Justice Kavanaugh. After those appointments, the Supreme Court agreed to hear the first Second Amendment firearms case since McDonald: New York Rifle & Pistol Association v. NYC. The official decision to accept the case was on 22 January, 2019. The next question was, when will the oral arguments for the case be heard? The possibilities began in April in 2019. If oral arguments were not heard in April, they would be heard in October or later. Second Amendment supporters are justifiably frustrated with the slow pace of judicial enforcement of Second Amendment rights. Many believe some courts have been deliberately slowing down the process, hoping for the election of a president hostile to the Second Amendment. The oral argument calendar for the Supreme Court for April has been published. New York Rifle & Pistol Association is not scheduled for April. This could be significant because the oldest justice on the Court is Ruth Bader Ginsburg. Justice Ginsburg has been hostile to the Second Amendment. She believes it does not apply to the modern world, because it is old. Ruth's position, is to define the Second Amendment out of existence, without any real argument, because she believes it has no purpose in modern society. The fallback position is that the Second Amendment does not apply to individuals. That is the essential Progressive position on the entire Constitution. It is old, therefore we can ignore it. Justice Ginsburg has been recovering from cancer surgery that removed on of the lobes of one of her lungs. She is said to be recovering satisfactorily. The next oral arguments are on Tuesday, 19 February, 2019. 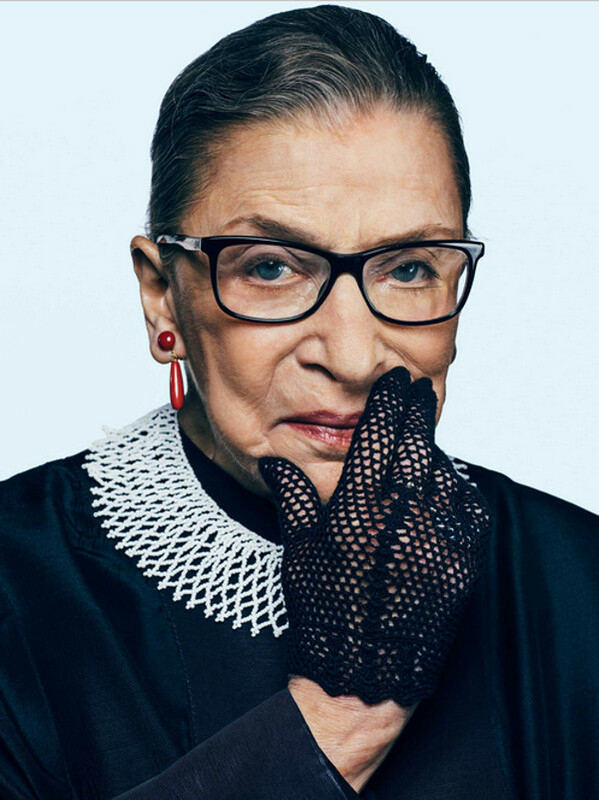 Reuters has reported that Justice Ginsburg was at the Supreme Court on Friday, 15 February, 2019, for a private conference to decide whether or not to take a case deciding if the Executive Branch can add a question to the 2020 census that has been on the census before. Friday’s conference proved highly significant, with the justices agreeing to decide the fate of a bid by President Donald Trump’s administration to add a citizenship question to the 2020 census, which opponents say will scare immigrant communities from participating, leading to an undercount. No pictures of Justice Ginsburg, in private or public, taken since December 15, 2018, have been published, that I have found. Update: Justice Ginsburg attended the oral arguments on 19 February, 2019, and appeared to have recovered from her surgery. Justice Ginsburg is the oldest Justice on the Supreme Court. Her birthday is on 15 March. Next month, she will be 86 years old. Eight months from now is the earliest oral arguments will be heard for New York Rifle & Pistol Association. When you are 86, in failing health, eight months is a long time. DAYTONA BEACH — An armed good Samaritan intervened to stop a man trying to stab another person near a business Sunday night, police said. “Some guy was going crazy with a knife trying to stab someone and a good Samaritan fired a shot to stop it,” said Daytona Beach police Capt. Scott Goss. Two men were fighting with another man at the Walgreen's on 85th Street NE, according to Sgt. Eric Karp with Kirkland Police. The man being attacked pulled out a gun and fired multiple shots. It doesn’t appear he hit anyone, but the other two men ran over to their car and drove off. The men, who had their faces partially covered, forced open his car door and demanded money. Shane Gesnaker, one of the men, was holding what was described as a black pistol. Gesnaker struck Santiago in the left side of his face. Santiago said the men had sprayed him in the face with pepper spray or mace. Santiago then grabbed his 9mm handgun and fired one shot at the men, who then fled. Gesnaker was struck by a bullet and fell to the ground about 50 feet from Santiago's vehicle. Santiago was a licensed gun owner with a permit to carry. According to the police report, a large fight broke out inside the bar and then moved outside. After the crowd dispersed, a victim told officers they heard gunshots coming from a vehicle. The victim fired back, the police report stated. The man detained told police he shot the victim in self-defense. Information was given to FOX13 late tonight by MPD also shows that the man who died and the shooter knew each other. That's when a second victim, 53-year-old male, interrupted the robbery attempt and fired his personally owned weapon in the air in an attempt to scare the suspect, according to the investigation. The suspect then fled the scene on foot but not before firing a shot towards the two victims, police say. Neither victim was struck or injured. The search warrant clearly shows the initial information used to obtain the no-knock search warrant involved a number of lies. 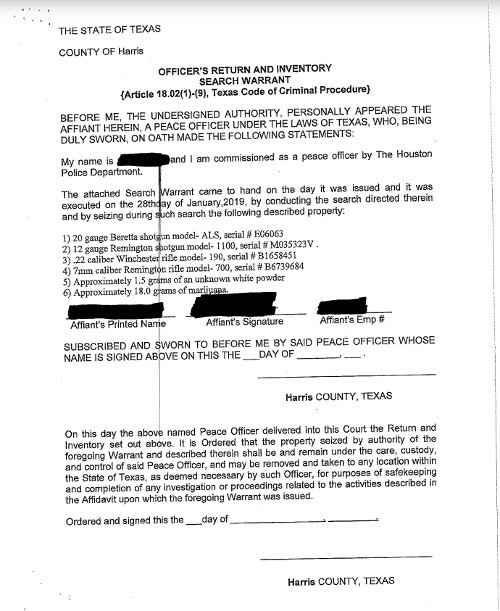 In the original warrant obtained on Jan. 28, the lead case agent, Officer Gerald Goines, wrote that a confidential informant bought heroin at the house the day before the drug raid. The informant also allegedly saw heroin and a weapon, which appeared to be a 9mm handgun, as he was buying the suspected drugs at the house. In that warrant, the informant allegedly returned to Goines with a brown powder substance, telling him that it was called "boy," which is slang for heroin. The confidential informant also said the substance he allegedly bought at the home was packed in a large quantity of plastic baggies. The Houston no-knock raid was characterized as an ambush by drug dealers. The evidence did not support that conclusion. The two homeowners killed had no criminal record. Dennis Tuttle was a Navy veteran. His wife, Rhogena Nicholas, was a supporter of President Trump. They had been married for 20 years and lived in their modest home in Houston for the same 20 years. The gun battle started when police broke down their door and shot their dog. Dennis started shooting back, wounding the officer that shot his dog. Police claim Rhogena attempted to take a shotgun from the wounded officer. They shot and killed her. Dennis continued to fight, wounding three more officers. It is unclear what firearm he used. "After we had two officers down and another shot, the remaining officers ... started laying down cover fire, left positions of cover themselves and, I believe, they heroically pulled their fellow officers out of harm's way," Acevedo said. 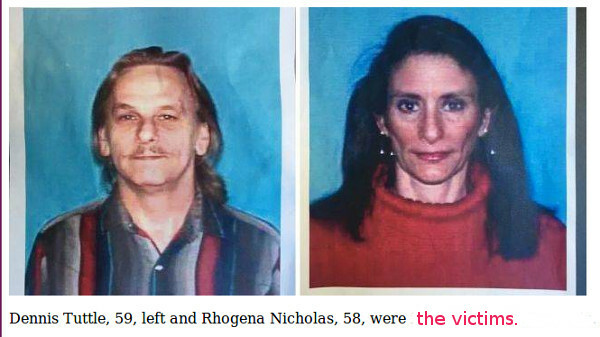 Originally, the police claimed Dennis used a .357 magnum revolver. No revolver shows up on the inventory of items seized from the house after the raid. No Heroin was found. No "large quantities" of drugs in plastic baggies was found. In addition to long term narcotics officer Goines, another officer has been suspended. His name has not been released. Good forensics could clear up many of the unanswered questions in this case. What was the sequence of events? Who fired what, when, and where. Who was shot by who, when? The only thing we know for certain is that lies were made to obtain a no-knock warrant. A gun battle resulted. Two innocent homeowners are dead, and four police were wounded. A small amount of drugs were reported to be found at the house, along with four firearms, such as exist in over half the households in Texas. As drugs were lied about (and small quantities were found in the lying officer's vehicle), can we trust the drugs found at the house, in two small baggies, were not planted by an officer, to cover the botched raid? Many police, as well as other citizens, are angry over the corruption and needless loss of life. Actions such as this corrode the fabric of a free society. RICHMOND, Va. (AP) - A Virginia appeals court has overturned the conviction of a Springfield man who fatally shot an intruder in his home. The court ruled 7-4 last week to affirm a divided appeals panel’s September ruling that the judge in Thomas Lienau’s trial erred in refusing to instruct the jury on self-defense, as Lienau’s attorney had requested. A possible intruder was taken to a hospital after a shooting Sunday morning in Tuttle, officials said. Around 8:45 a.m., police received a call about a shooting near Star Drive off Sky Lane. When they arrived, they said they found an apparent intruder with a gunshot wound. SAN ANTONIO, Texas (WOAI/KABB) - A man who was confronted by two men with guns wrestled one of the weapons away and shot a suspect dead, said police. The shooting happened shortly after 1 a.m. at a home on Leonidas Drive, near I-10 and South WW White Road. McManus was jogging down Gibbons Link Road after punching the woman when he jumped onto the hood of a passing car, police said. When the driver stopped, McManus smashed a window of the car, “at which time the suspect shot him,” police said. HIGHLAND PARK, LOS ANGELES (KABC) -- A man allegedly stabbed his mother and brother before being shot in the leg by his wounded sibling Saturday at a home in Highland Park, authorities said. CORINNE, WV (WVNS) - It was a bad day for one burglar in the Mountain State. Wyoming County. Deputies were called to a home in Corinne, WV after a homeowner told dispatchers she was holding a man who broke into her home at gunpoint. Investigators came to the house at around 10:45 a.m. Thursday. They found the suspect, Jeffery Lee Reece, lying on the floor. The victim told deputies Reece came through her front door and stole a trail camera. Police believe Smith and Clark broke in intending to rob Deandre Hill and Brianna Aleman. Police also said an employee at the store had a gun and fired several shots. The U-Haul was struck once, but it is not known if the robber who fled was hit. No one else was shot. No names have been released and investigators have not released a description of the second robber. FEDERAL WAY, Wash. — A Federal Way mom held a would-be intruder at gunpoint Thursday night until police could arrive. State police say 25-year-old Devon Emfinger of Aberdeen was with the 24-year-old woman on Valentine’s Day when 24-year-old Donte Demunguia from Absecon, New Jersey, entered her apartment at a public housing complex in Harrington. The woman went downstairs and was confronted by Demunguia, who was shot as he went upstairs. LOS OSOS, Calif. - San Luis Obispo County Sheriff's Office say a suspected home invader was shot by a resident of the Los Osos home early Friday morning. JACKSONVILLE, ARK. (KATV) — A man was taken to the hospital after he was shot while robbing a store in Jacksonville on Thursday. BROKEN ARROW, Oklahoma - Broken Arrow Police are investigating a bold home invasion, in which a homeowner shot back at armed suspects. Police said it happened Tuesday evening around 6 near S 145 E Avenue and Kenosha. In 2014, Alabama clarified and strengthened the state constitution's provision protecting the right to keep and bear arms. The amendment passed with 72% of the the vote. Senator Gerald Allen (R-Tuscaloosa) is working to translate the promise of the state Constitutional amendment into law. He says he will keep on filing Constitutional Carry bills until one is passed. In 2017, the Alabama Senate passed a Constitutional Carry bill, SB2, 26-8. In 2018, SB3 died in committee. In January of 2019, Senator Allen pre-filed SB4, which is the fourth attempt to pass Constitutional Carry in Alabama. In the state of Alabama, concealed carry permits are issued at the county level. Sheriff's have discretion over how much they charge for the permits. By law, funds received for CC permits are collected by the sheriff & retained by him. They are not part of his normal budget. They go into a discretionary fund and the sheriff has sole authority over it. He can buy body armor or he can buy beer for an office picnic. The Alabama Sheriff's Association has fought this for a long time with histrionic predictions of blood in the streets. Alabama carry permits are shall issue. They are only issued to Alabama residents. Alabama recognizes all other state carry permits. The cost of the carry permit varies from five to twenty dollars. Alabama is an open carry state. Adults that can legally own a gun can carry pistols openly, without a permit. The difficulty with open carry in Alabama, is that people are not allowed to open carry in a vehicle, unless they have a permit. This makes open carry without a permit inconvenient and unsafe, as the law also requires that pistols carried in a vehicle, without a permit, must be unloaded and locked up. Constantly loading and unloading a pistol when getting in and out of a vehicle increases the chances of an accident. Alabama has a short legislative session, to limit the damage the legislature can do. This year it starts on the first Tuesday in March, and meets for a maximum of 30 days with a session limit of 105 calendar days. Alabama has a Republican Governor. Republicans have strong majorities in the Senate and in the House. Constitutional Carry has strong support in the Alabama legislature. The Sheriffs Association also has strong support. Constitutional Carry will pass in Alabama when supporters of the bill overcome the opposition of the Alabama Sheriff's Association. DETROIT - The intended target of a carjacking fatally shot one of the attackers on Detriot's west side, police said. The carjacking happened around 10:30 a.m. Thursday on Snowden Street near Seven Mile Road and Schaefer Highway. As bystanders gather around amidst the commotion, the guard can be heard repeatedly claiming Perez was trying to “break inside” the synagogue. Perez later told local news station KCAL the guard was “super-aggressive” while she was “just taking shots” of the synagogue. Perez has identified herself as a First Amendment auditor—a YouTube genre in which participants show up at places like post offices or power plants, start filming and capture the police reaction on tape. 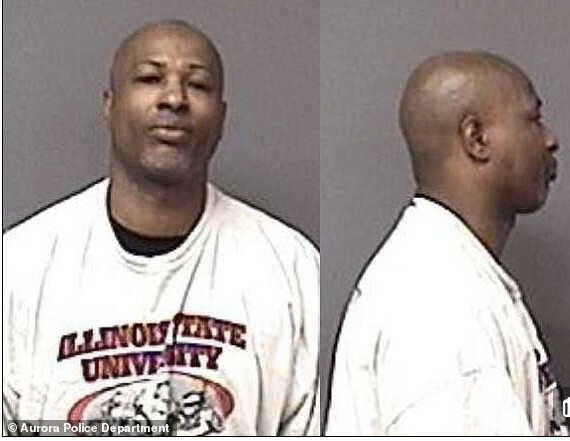 The Aurora murderer at the Henry Pratt Co. valve manufacturing plant in Illinois was a prohibited possessor of firearms. He had been convicted of aggravated assault in Mississippi in 1995, for stabbing a woman. He was about 22 years old at the time. Characters are pretty well formed by the time you are 22. The murderer had been arrested six times in Aurora for traffic and domestic battery incidents, the last in 2008. He was arrested in 2017, in Oswego, Illinois, for disorderly conduct and property damage. No convictions were listed during this period. He originally passed a background check in 2014, when he purchased a Smith & Wesson .40 caliber handgun. A few months later, a second background check, when he applied for a Concealed Carry Permit, showed the earlier felony conviction. Final Report: Was Bear Spray Effective in the Mark Uptain Grizzly Fatality? 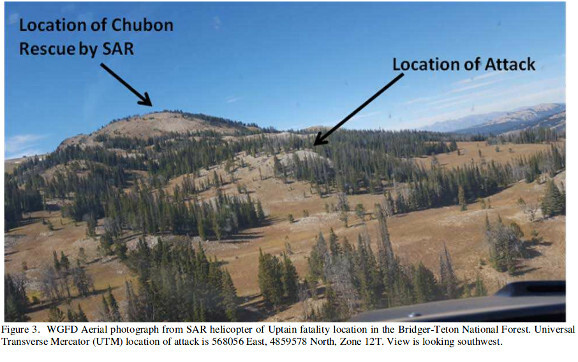 The Wyoming Game and Fish Department (WGF) has released a final report on the grizzly bear attack that killed hunting guide Mark Uptain and injured his client, Corey Chubon. The report confirms previous information that the Glock pistol was found without a round in the chamber, and separated from its magazine. The magazine was fully loaded with 15 rounds of F C flat nosed full metal jacketed rounds. The pistol had not been fired. At some time during the attack, bear spray was used by Mark Uptain. The bear spray can was emptied. The grizzly sow was reported to have a strong odor of bear spray about her head. 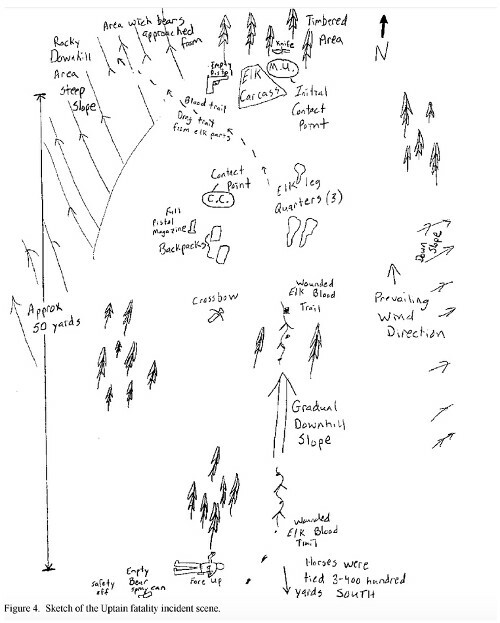 Below is a hand sketch of the relationship of various items found at the scene by the investigators. The weather was warm enough to compel Uptain to take off his shirt. Unfortunately, Mark Uptain also took off his holstered Glock 10mm. The Glock pistol, in a shoulder holster, had been placed with the packs, about 5-10 yards from the elk carcass. He placed it too far from him to be accessed before the sow reached him. By doing that, he negated one of the greatest advantages of pistols for defensive use. The advantage is having a gun on your person when you need it. Holstered pistols free up both hands to do other things. To sum up the events: The guide, Mark Uptain, and his client, Corey Chubon, were processing the bull elk they had recovered. The elk carcass had not been molested by any predators. They were nearly finished when the bears attacked, from down hill and downwind. The sow, about 250 lbs, attacked Uptain at the elk carcass. Corey Chubon ran to the packs and drew the pistol from the holster. At first, he did not fire for fear of hitting Uptain. Then the sow turned her attention to him. Being unfamiliar with the Glock, he was unable to make it fire, because the pistol did not have a round chambered. While attempting to fire the pistol, he ejected the loaded magazine on the ground. This has been known to happen when people unfamiliar with a pistol's controls are desperately attempting to make it fire in a life or death scenario. People try every control they can find, trying to make the pistol work. When the bear started to maul Chubon, he attempted to throw the pistol to Mark Uptain. The bear then left Chubon and re-attacked Uptain. Chubon fled for help. Chubon had bear spray, but it had been placed in one of the packs, making it inaccessible during the attack. A rescue helicopter picked up Chubon about two and a half hours after the attack. The helicopter was being used on a fire,and had to be called back for the rescue. The report concluded that Mark Uptain had died about the time that Chubon called for rescue, two hours before rescuers reached Chubon. The report states the use of bear spray likely halted the attack. Writers for other publications conclude this shows bear spray was effective in this incident. 2. The bear spray spin. Uptain did not have time to use bear spray before the bear initially attacked and injured him. Is that a bear spray success, or a bear spray failure?The 2nd time the bear attacked, Uptain sprayed the bear but was killed. Is that a bear spray success or a bear spray failure? It is hard to see this event as successful use of bear spray. Bear spray was used, but the user was killed. The bear stopped attacking at some point, and Mark Uptain, fatally wounded, was able to move about 50 yards from the elk carcass before he died. The empty bear spray canister was found near his body. There are several incidents where bear spray initially deterred a bear, which later returned to continue the attack. There are numerous incidents where bears left mauled victims, without being sprayed, then returned later. By all accounts Mark Uptain was an outstanding man, hunter and guide. He will be missed. Many people have suggested that while dressing game in grizzly country, one person should stay alert and guard, while other member(s) of the party dress the game. "Given that it took Uptain and his client 2-3 hours to field dress the elk, it would have been wise for Uptain to have the hunter standing guard on red alert with bear spray in hand. Wind was broadcasting the scent of elk blood & guts; thus, the hunter should have been downwind from Uptain and the carcass. It's 100% predictable that the bears would approach from downwind. But the hunter was only 3 to 4 yards away from Uptain, unarmed. The hunter did not have Uptain's Glock in hand. The hunter did not know how to use Uptain's Glock. The hunter did not have bear spray in hand. Bottom line? Uptain and the hunter were not prepared for a worse case scenario. It's a bit surprising the bears charged the hunters, but it's no surprise the bears showed up. Does WGF offer hunters and/or guides any meaningful guidance on how to handle this field dressing an elk in grizzly country situation?" This is a sad case. It appears to be an example of bear spray failure, rather than a bear spray success story. If the 10mm Glock had been in the hands of someone who knew how to use it, both men would probably have survived. It is likely only one bear would have been killed. LITCHFIELD PARK, Ariz. (FOX 10) -- Audio files from a 911 call made by a frightened Valley woman, moments after she shot and killed an intruder who was trying to break into her home, have been released. Officials with the Maricopa County Sherriff's Office say the suspect was actually the woman's neighbor, who went to the wrong home and was drunk at the time of the incident. “The homeowner was armed, and advised the suspect not enter the house,” the Jackson County Sheriff’s Office said in a press release. However, the woman heard glass breaking from the upper level of the house and fired two shots in the direction of the man the sheriff’s office added. Deputies arrived and arrested the accused burglar, identified as 20-year-old Hans E. Rogers. The Cobb County resident was charged with home invasion and burglary. He was booked into the Jackson County Jail and remains held without bond. No one was injured during the incident, the sheriff’s office said. Two men were suffering from gunshot wounds when police arrived. Deputies believe a shootout occurred between the alleged intruder and the homeowner. The alleged intruder later died. He has been identified as 20-year-old Major Payton, of Baker. The homeowner, a 60-year-old man, was transported to a local hospital for treatment. On February 4, 2019 in Larimer County, Colorado, a man was able to fight off a mountain lion attack and kill the lion with his bare hands. During the last 30 years, we have been actively protecting large predators, including bears, wolves, and mountain lions. Their populations and habitat are increasing. As these large predators increase in population and habitat area, there have been increasing conflicts with humans. There are some obvious things missing from the above list. Weapons. Guns and knives. Bear spray is a weapon of sorts, but guns have proven to be effective against lions for hundreds of years. A 12 year old girl used a gun to kill a mountain lion that was stalking her in 2014. Knives have been used to defend against lion attacks, and are better than bare hands. Idaho is a Constitutional Carry state. No permit is required to carry a firearm in Idaho, in nearly every place where you might encounter a large predator. No permit is required to carry a knife. Knives and guns are useful for many more things than attacking mountain lions. Why doesn't the Idaho government include the obvious choice of guns and knives in its list of ways to fight back against a mountain lion attack? Has the Idaho government been infected with political correctness? Are they afraid of some nebulous liability from the offer of commonsense advice that weapons are effective in stopping animal attacks? Is the Idaho government more concerned with saving large predators than with saving people? The nature of these questions make it nearly impossible for a government bureaucrat to answer truthfully and directly. The woman who found herself with a 35 pound mountain lion in her hands understood that it was much safer to shoot the lion than to try to strangle it with her hands. Mountain lion attacks are rare, but the number is increasing with increasing mountain lion populations. Two people were killed by mountain lions in 2018. The homeowner then tried to hold the man at gunpoint as he tried to leave, when he shot the suspect in the head. The man was taken to Ben Taub Hospital. He is expected to survive. Deputies told ABC13 the suspect was breaking into multiple vehicles and had property belonging to the homeowner inside his vehicle. One person is dead following a domestic violence situation while a "citizen" is being hailed as a hero for shooting the suspect inside a Kingsport dentist office, Sheriff Jeff Cassidy told WCYB. A Juvenile Center official contacted the Sheriff's Office 40 minutes later to report that the jubenile had been located by a Spur Lake-area property owner. "It was also related to this office that the property owner had the juvenile at gunpoint," Capt. Philip Pevehouse stated in the news release. The Houston Police Department has released the inventory of items seized during the execution of the no-knock raid where 59-year-old Dennis Tuttle and his wife, 58-year-old Rhogena Nicholas were shot and killed. The raid occurred on January 28, 2019. The married couple of 20 years died in a gun battle with police where four officers were wounded and one was injured while taking cover. The couple had no criminal records. They had occupied the house for 20 years. Rhogena was as supporter of President Trump. Dennis was a Navy veteran. A Winchester 190 semi-automatic .22 rimfire, a popular and inexpensive hunting and plinking gun. They are no longer manufactured. Wounding four officers with a .357 revolver would be exceptional gunfighting. Some shooters can do it. Dennis Tuttle was an Air Force veteran, and, it seems likely, a hunter. Given the lack of a revolver from the inventory, my suspicion is he used a shotgun to defend his home. That, and the use of buckshot or birdshot would explain the four wounded officers. Also missing is any 9mm pistol, the possession of which was used in the warrant to justify the no-knock raid. Apologists for the raid have said the informant could have mis-identified the .357 for a 9mm. That could be, but there is no pistol or revolver to be found on the inventory list. Here is a link to the warrant from ABC13. "There's nothing identified in search warrant return as scales or baggies, or anything that would be used to distribute heroin or any other drugs for that matter," Zuniga said. As for the gram of cocaine and 18 grams of marijuana found, Zuniga said, "It's not the amount of drugs that would be associated with distribution. I think in this case the officer probably relied on an unreliable informant." According to the residents, three unknown suspects forced their way into the home and shot the victim. One of the residents shot back at the suspects and the suspects fled the scene. Officers located 40-year-old Ryan Allen of Goldsboro in a wooded area near the scene. Allen suffered a gunshot wound to the pelvic area of his body. He was identified as a suspect in the burglary and assault. Allen was transported to Vidant Hospital in Greenville where he died during surgery. A Belton homeowner shot and injured a man late Monday night when he kicked open the door to the man's residence, deputies said. As is often the case in these matters, the security guards won the argument. The man was sent on his way and began walking down Clark Avenue toward South Broadway. Apparently still riled up, he began arguing with the driver of a passing car before chasing the vehicle down and (allegedly) punching its driver multiple times in the face. To put things mildly, that turned out to be a really bad idea. The driver, a 36-year-old man, quickly pulled a gun and shot his attacker in the chest, police say. "You could see the door buckling, then everything, the wood and everything just flew out," Jim said. "He just stood there, and so I just held my gun and waited for the police to get there." According to Arcata police chief Brian Ahearn, the suspect was arrested and taken to a hospital where he was treated for cold exposure. Chief Ahearn suspects the man was trying to find a place to get warm. Some facts are now available about the Milwaukee Police raid that resulted in the death of Police Officer Rittner. The raid occured on February 6th, about 9:12 a.m., on the 2900 block of South 12th Street. Several officers were wearing body cameras. The raid made use of a no-knock warrant. The suspect, Jordan Fricke, has been charged with first degree intentional homicide (940.01(1)(a), first degree recklessly endangering safety (941.30(1) , and maintaining a drug trafficing place 961.42(1). The complaint says that officers surrounded the residence near 12th Street and Manitoba, and yelled "Police, search warrant" at the approached the door and started to break it down. Officer Rittner was the officer operating the ram who was breaking down the door. Fox news reports the complaint says that Fricke admitted to selling some marijuana at some point, and that he had assembled some rifles and sold them at gun shows. It is not illegal under Wisconsin law to assemble rifles and sell them at gun shows. It may be illegal under federal law. The federal law is somewhat vague. It requires the person to be "in the business" of selling firearms to make a profit. Occasional sales are usually not sufficient to meet this burden. This charge would explain the presence of the BATFE officers at the raid. The case illustrates the dangers of no knock warrants. 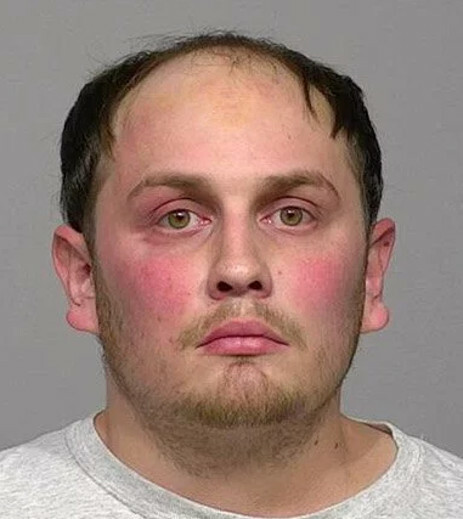 It seems likely Fricke would have surrendered to officers and peacefully allowed the search of the house, if the officers had knocked peacefully and allowed him time to answer the door. He quickly surrendered once he was convinced the intruders were actually police. We do not know what "equipment used in drug sales" might have been. Scales and zip lock baggies are plausible items. None of the guns are alleged to have been illegal. No fully automatic guns or sawed off shotguns appear to have been found. Was Fricke a small time marijuana dealer? It may be so. Did he illegally sell guns? We do not know for certain. It is possible. Did Fricke act legitimately under the Wisconsin Castle Doctrine law? That may be left up to a jury. It may depend on whether the jury finds that Fricke was using the dwelling to further a criminal activity.